Justin Trudeau is certainly trying to disrupt Canadian politics and make a name for himself in the Canadian political scene. With his recent announcement kicking the liberal senators out of the Liberal caucus and declaring that they are independent from party lines has made a huge statement. As a result it will cause significant disruption in the Canadian political scene. As this writer understands it, the liberal sensors are now independent from the liberal party. They cannot participate in the Liberal caucus meetings. They are free to vote in whatever manner they see fit with regards to legislation presented to the Senate. Why did Justin Trudeau take this approach what is behind his motivation for taking a big risk? 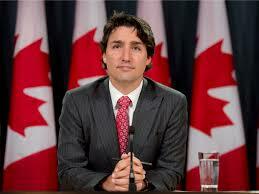 He is currently considered a lightweight political leader by the other parties. They have not taken him seriously up until now. This will certainly change their opinion regardless of whether the other parties agree or disagree with this approach. Secondly, the conservatives want to update the Senate and reform the Senate. Reforming the Senate will take years of negotiation.This requires significant political discussion and debate. As a result in one stroke, Justin Trudeau has begun the process without any legal, political or discussion from the provinces. The reform of the Canadian Senate has just begun. It will be interesting to see what happens in the next few months as the Conservatives the New Democrats respond. More to come.